Emails aren’t private, so much should be known by now. When you communicate via email, the contents are not only visible to yours and the other side’s email providers, but potentially also to numerous others like the NSA who intercepted your email on the network. Encrypting emails is possible via PGP or S/MIME, but neither is particularly easy to deploy and use. Worse yet, both standard were found to have security deficits recently. So it is not surprising that people and especially companies look for better alternatives. It appears that the German company FTAPI gained a good standing in this market, at least in Germany, Austria and Switzerland. Their website continues to stress how simple and secure their solution is. And the list of references is impressive, featuring a number of known names that should have a very high standard when it comes to data security: Bavarian tax authorities, a bank, lawyers etc. A few years ago they even developed a “Secure E-Mail” service for Vodafone customers. As we’ve previously blogged, lawmakers in the European Union are reflecting intensively on the problem of illegal and harmful content on the internet, and whether the mechanisms that exist to tackle those phenomena are working well. In that context, we’ve just filed comment with the European Commission, where we address some of the key issues around how to efficiently tackle illegal content online within a rights and ecosystem-protective framework. 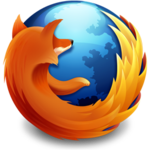 Mozilla has released a note taking app for Android that syncs with the Firefox browser on the desktop. Called (rather simply) ‘Notes by Firefox‘, the feature offers basic, encrypted note taking in the browser and via a standalone app for Android phones and tablets.